General Motors is the largest American car manufacturer to ever exist, and is the emblematic company of Detroit’s growth and recent resurgence. We have always enjoyed the lines that GM turns out, because you can never be quite so sure what wonderful new direction that they are going to take their vehicles in next. 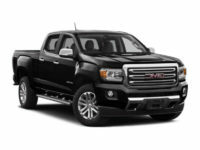 Their truck line in particular, known as GMC, is one of the best lines of powerful trucks and utility vehicles out there, and we offer the best GMC leasing deals that you could ever conceive of in any way, shape, or form. 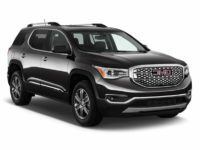 The entire line of GMC is on our docket, and we know that we can get our fantastic NJ customers into whatever they need to thrive with their new leasing deal. Whether they are in the market for a Terrain, a Canyon, or even one of the Savana vans, we have our folks covered from top to bottom. 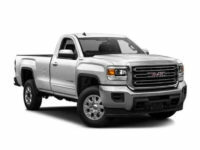 One of the true emerging markets in the car industry, pickup trucks are also a stalwart of this line, and we can give you the leasing deals that you want on a new truck, whether it be for residential, farm, or other commercial usage. We have the customer service professional teams that have heard and seen it all, and we know what it takes to make our customers smile (mostly by keeping their wallets full, even as they enjoy a brand new leased car!). The idea that a lease on a new car needs to break the bank is ancient, and we delight in blowing apart this conception for customer after customer. Give us a call today at 201-649-5111, or visit us on the web for more information at any given time. Jersey City Car Leasing, GMC Trucks, And You – The Best Combo! 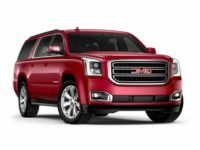 GMC brings to mind large trucks, utility vehicles, and vans, and sure – it is all of those things. This might make some people think that the line is not quite for them, but there is nothing safer to navigate a brutal New Jersey winter in than a nice large truck that keep you and your family nice and safe on roads that can be slippery. 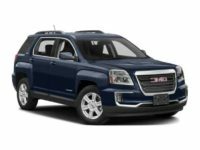 If this sounds like something that might appeal to you, do not hesitate to contact Jersey City Car Leasing, which has the entire GMC line at its fingertips and help get you fantastic auto leasing deals on any one of those trucks. Our team of customer service professionals is always learning and evolving, and we make sure that we keep them in touch with all of the latest trends and industry markers. This in turn saves you, the New Jersey customer, a boatload of cash because we know all the ins and outs of auto leasing deals that our competitors just cannot keep up with. This revolutionary approach to customer service always pays off in the form of amazing customer loyalty and repeat business, so it really makes sense for us to go this route. 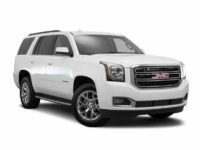 If you’re in the market for some great GMC leasing deals, give us a call today, or visit us on the web at any time for more information on any next steps.